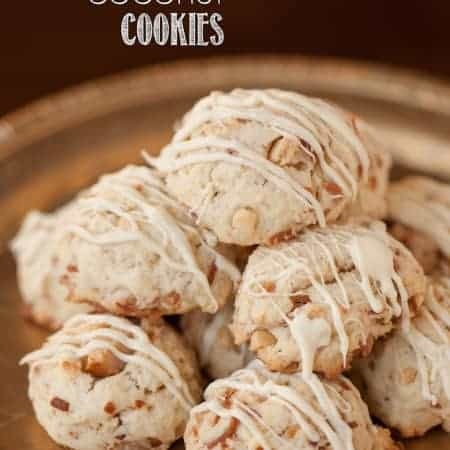 Toasted Macadamia Coconut Cookies with a white chocolate drizzle cook perfectly every time and are full of nutty flavor. Today I’m sharing an amazing recipe that has become part of my annual holiday tradition of making a bunch of different kinds of Christmas cookies so that I can pack them off and ship them to family. My kids have grown up knowing this as tradition in our house and I hope that they will carry it on as they get older. The foundation of any good sugar cookie is the ingredients. 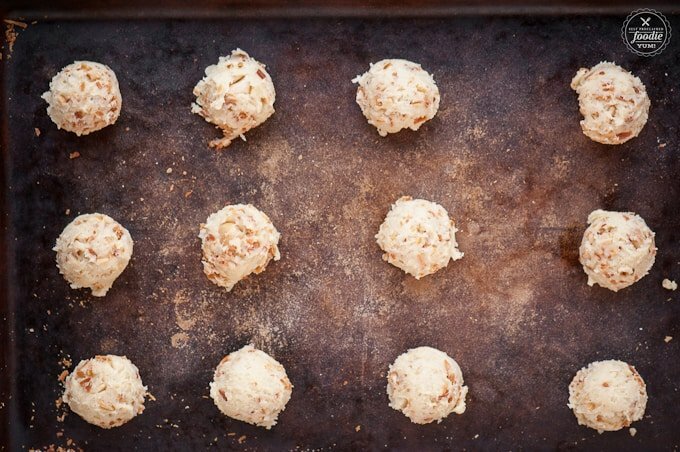 This recipe starts with macadamia nuts and sweetened coconut. Toasting them in the oven is easy and makes them even more delicious. As much as I love macadamia nuts, I didn’t want them to be that big, so I pulsed them through the food processor until they were the perfect size for me. The dough in this cookie is my go to sugar cookie. It works perfectly. I love these cookies because they don’t spread that much and you end up with these wonderful ball shaped cookies. 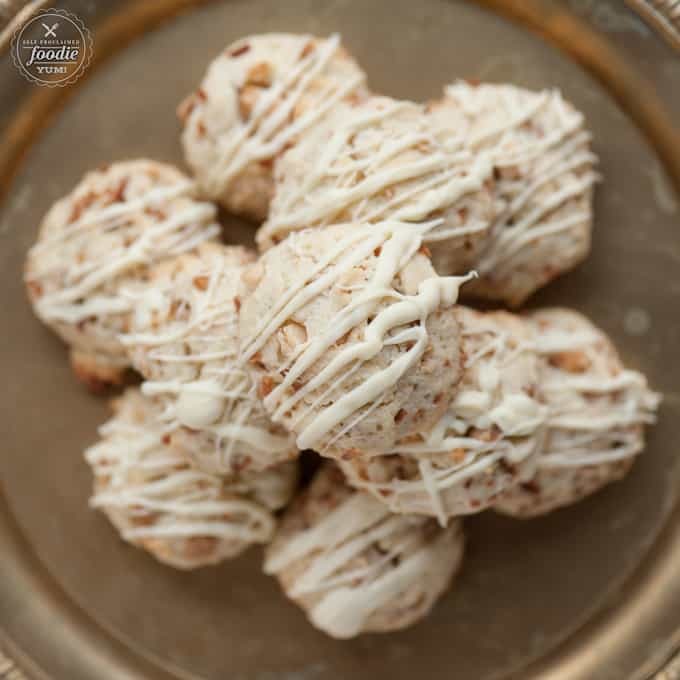 I’m usually not a huge fan of white chocolate, but for whatever reason, it is the perfect addition to these treats. 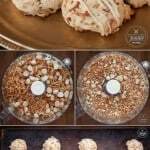 Best of all, these cookies keep really well so they made perfect additions to my holiday cookie boxes that I shipped out to family. I’ve gotten loads of comments that people really loved this nutty cookie, and I’m confident you will too! 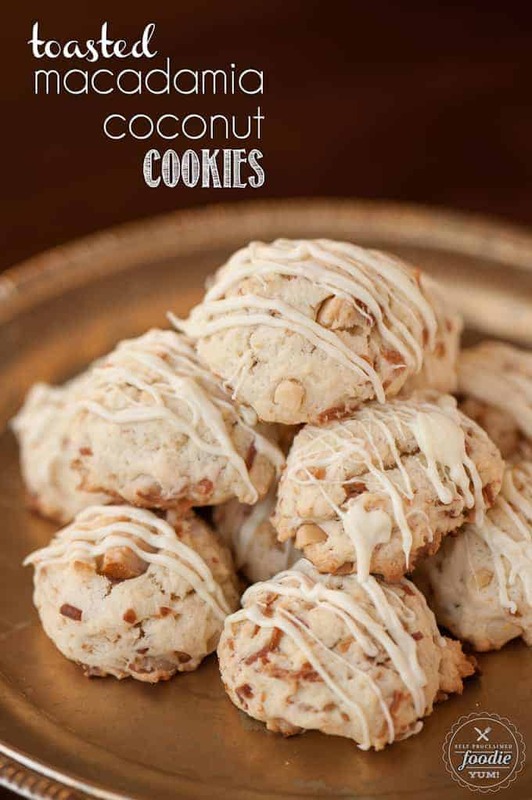 These Toasted Macadamia Coconut Cookies with a white chocolate drizzle cook perfectly every time and are full of nutty flavor. Portion the dry ingredients in a bowl, set aside. 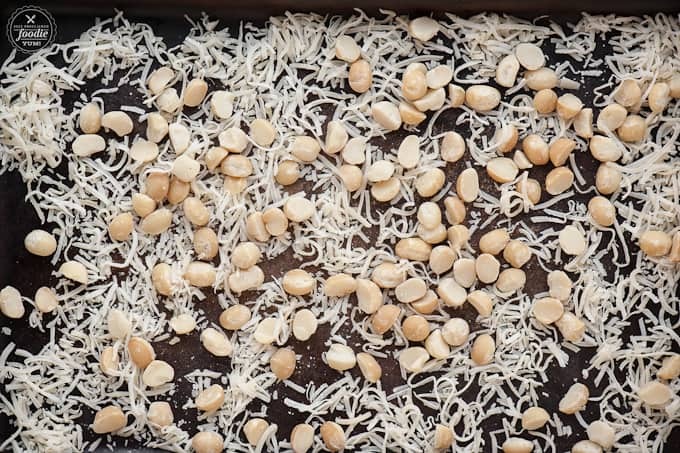 Toast macadamia nuts and sweetened coconut in 375 degree F oven for 10-15 min, stirring halfway through. Pulse through food processor to roughly chop. Mix into cookie dough. Drop cookie dough by tablespoonfuls onto ungreased cookie sheet. Bake for 15 to 16 minutes in 375 degree F oven or until edges are light golden brown. Remove from oven and cool 1 minute. 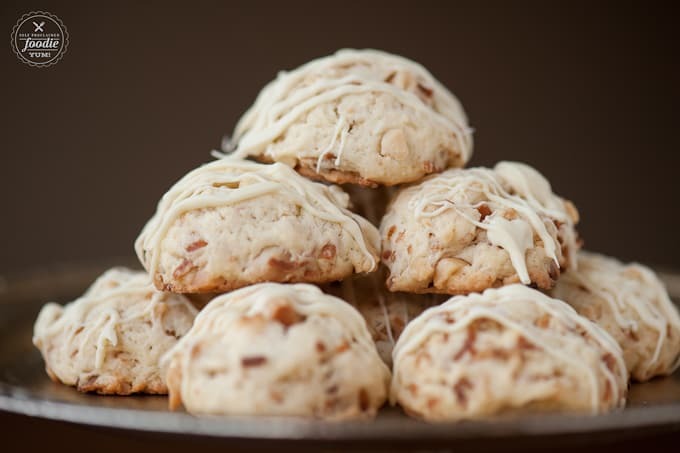 Melt white chocolate chips in microwave in 1 minute intervals at 50% power, stirring each time, until smooth. Drizzle over cookies.